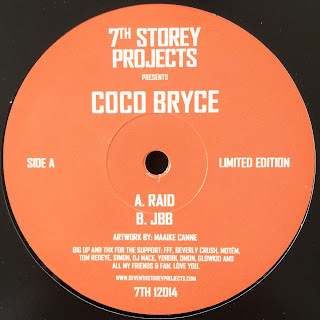 It's been 2 years since I got in contact with Dutch producer/DJ, Coco Bryce, after listening to a forthcoming tune from him on soundcloud taken off the first release on his label Myor Massiv. Since then, we're both in full support, he has been guesting on my show as well, and in overall, I'm personally pleased seeing himself and the label getting all releases sold out, giving him extra exposure with a highlight his recent tour in Japan. Yoël has recently released his first personal EP over 7th Storey Projects. It's about a 10" Vinyl EP of 2 Junglistic vibes, which is rapidly selling out in various big stores. 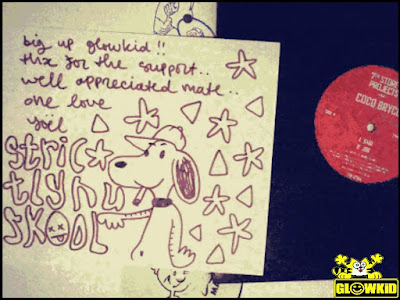 In addition, I'm very glad seeing my name mentioned into bigup/thanxgiving part and more than that receiving a great gift with a special dedication message written from him.. Dank je Yoël, hou het op!! During these days I sat down and listened to a variety of his tracks, hence made a kind of tribute mix to his work including strictly tunes from him, paying homage to Breda's son, the Myor Massiv badboy! You can check out the featured tracklist above and the Mixcloud link to listen to my mix.